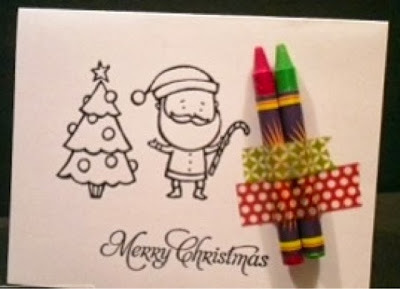 How much fun would kids have with this Christmas card featuring Color Me Christmas from the Holiday catalog? This adorable set, found on pg. 32 in the Holiday catalog features 5 images to make your cards and projects come to life. Leave the image blank and include some crayons, secured with our Season of Style Washi Tape and you've created a beautiful card with an added bonus! Of course, you can always colour the image yourself using any number of techniques! My favourite for this set is using our Aqua Painters. To place your order for Color Me Christmas simply send me an email, call me at 289-280-0304 or shop my online store.